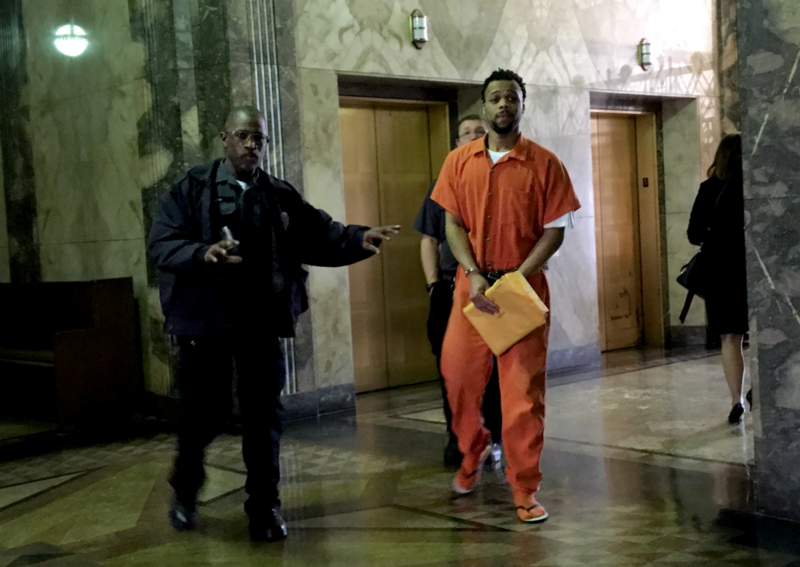 Dairian Stanley, 22, is lead into a Jackson County Courtroom Thursday before being sentenced to two life sentences for gunning down a 25-year-old man who had been with his ex-girlfriend. The first-degree murder conviction requires a mandatory sentence of life without parole. But Prosecutor Christopher Acurso asked McKenzie to give Stanley a second, 100-year sentence on the armed criminal action conviction. 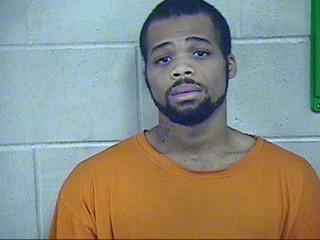 Dairian Stanley as he appeared in a Jackson County Detention Center photograph in 2016. Noting Kansas City’s “notoriety" for a high crime rate, Acurso said a 100-year sentence would help prevent other such murders. Public defender Paige Bremner said the request was “ridiculous.” Such a sentence would not deter someone who is angry and ready to be violent, she said. Instead of 100 years, McKenzie imposed a second life sentence, which is legally considered roughly 30 years. He also thanked the Evans family for their “calm and courage” during a difficult two-week trial. Stanley’s case was the subject of a story in KCUR’s six-part series “The Argument,” an in-depth look at the more than 200 homicides in the Kansas City area in 2016. Peggy Lowe is an investigative reporter at KCUR. She's on Twitter at @peggyllowe. Dairian Stanley’s ex-girlfriend was warned before she met up with him that Sunday morning in September 2016. Stanley had been missing for two days, had been talking “crazy stuff” and threatening to kill himself, his mother told her. When the ex-girlfriend found him at a BP gas station on Van Brunt Boulevard, Stanley demanded to know who she had been with. “If I can’t have you, nobody can have you!” Stanley, then 21, said to her, according to court documents. Dairian Stanley, 22, was convicted by a Jackson County jury of first-degree murder and armed criminal action on Wednesday in the shooting death of Torrence “Trimmer” Evans. Stanley was jealous and angry that Evans had been with his ex-girlfriend, Coreal Settle, 26. Evans had been shot several times, Officer Jason Grizzoffi testified Wednesday during the opening arguments in the murder trial of Dairian Stanley. “He’s hanging on, he’s hanging on,” Evans' buddies, Gary Cole and Leonard Edwards, can be heard saying in the dashcam footage.